All workshop presentations, plenary sessions, and the Policy Symposium will be held in the Swanston Academic Building (Building 80) located at 445 Swanston Street on the Melbourne City campus of RMIT University. The venue is centrally located in Melbourne and easily accessible via tram and trains. The closest train station to RMIT is Melbourne Central. The closest tram stop is Stop 7 which is serviced by tram route numbers 1, 3/3a, 5, 6, 16, 64, 67 and 72 along Swanston Street. The AGEW2019 Dinner will be held in the State Library of Victoria, located on the corner of Swanston Street and La Trobe Street, around 3 minutes walk south from the workshop building. The dinner will be held in the newly-opened Isabella Fraser Room, which honours the State Library’s first female librarian. The Library’s Gallery and Reading Rooms will be open for guests to visit before the dinner and until 9pm on Thursday evening. Please enter the Library from La Trobe street due to refurbishments. 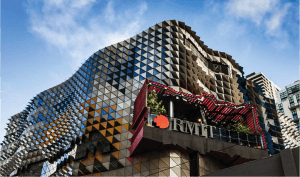 A global university of design, technology and enterprise, RMIT University is Australia’s largest tertiary institution with more than 84,000 students, including 13,000 at postgraduate level. As well as delivering teaching and research across three campuses in Melbourne (City, Brunswick and Bundoora), RMIT University extends its global connections through its campuses in Vietnam, a research and collaboration centre in Spain, and with numerous partners in Singapore, Hong Kong, China, Indonesia, Sri Lanka, India, Belgium, Germany, Austria and the Netherlands. 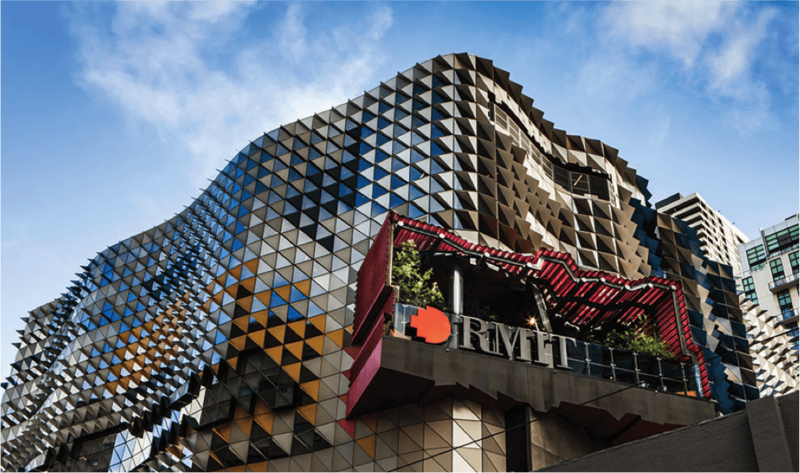 RMIT University enjoys an international reputation for excellence in professional and vocational education, applied research, and engagement with the needs of industry and the community. RMIT is presently Australia’s 15th highest ranked university, and among the world’s top 100 universities in Education, Engineering (Civil & Structural), Engineering (Electrical & Electronic), Computer Science & Information Systems, Communication & Media Studies, Development Studies, Business & Management Studies, Accounting & Finance, according to QS World University Rankings.